After deciding on where we were going to stay for our first family trip to Disney, I knew the next order of business was to find Disney Family T-shirts that were right for all of us. My idea was to give everyone their shirt for this past Christmas, so I couldn’t talk about the t-shirts until now. Now that everyone has them, I can share them with you. After looking at so many for months on Pinterest, Etsy, etc., I thought it was going to be easy to find the perfect one for us but turned out, I had a harder time finding one I really liked. At first, I was just looking at T-shirts with a Disney design on the back, then one with our initials and/or names. I also went back and forth; do I want screen printed shirts or a vinyl iron on? Minnie/Mickey ears? Castle? For a short time, I considered making them myself. Then I realized there wasn’t enough hours in the day for me to get around to it. Ultimately, I found the perfect T-shirt for us on Etsy. I decided to go with a red shirt with white lettering and the Cinderella Castle on the front. 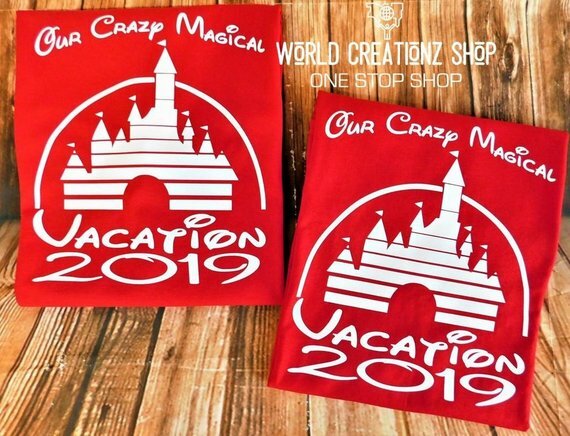 Across the top of the castle and around the bottom it states, “Our Crazy Magical Vacation 2019.” Everyone loves how the T-shirt came out and we are looking forward to wearing them at the Magic Kingdom. I ordered our T-shirts from an Etsy shop called, WorldCreationZShop2. The shop gives you an option to purchase as a family package and it was perfect for what we needed. The customer service and delivery were great, and I recommend checking them out if you are looking for Disney T-shirts as well. 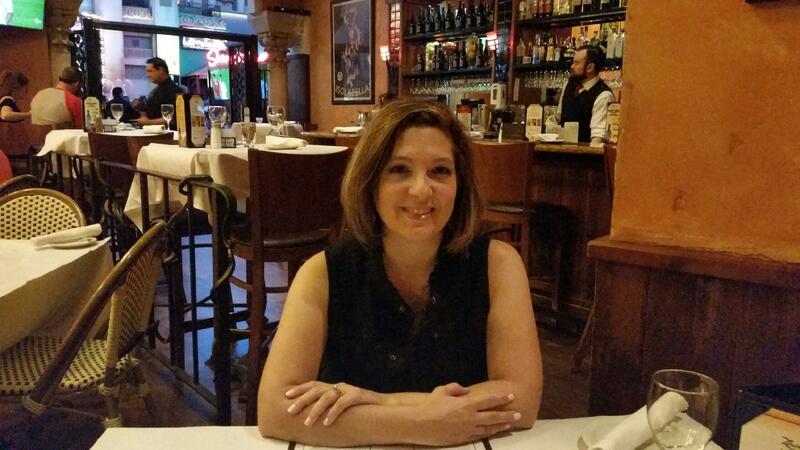 They have a large variety to choose from and everything is customizable. We are all looking forward to wearing them soon! What do you and your family wear to the parks? Do you also wear themed T-shirts? I would love to hear all about it. Very cute! Picking out shirts to wear is one of my favorite things to do when planning a Disney trip. It can be a little overwhelming but still fun! I love the ones you chose!